In 2007 baby Suraya Brown was born weighing less than a bag of sugar and measuring just six inches long. Then, doctors had no idea why this chubby, healthy-looking baby was so small. 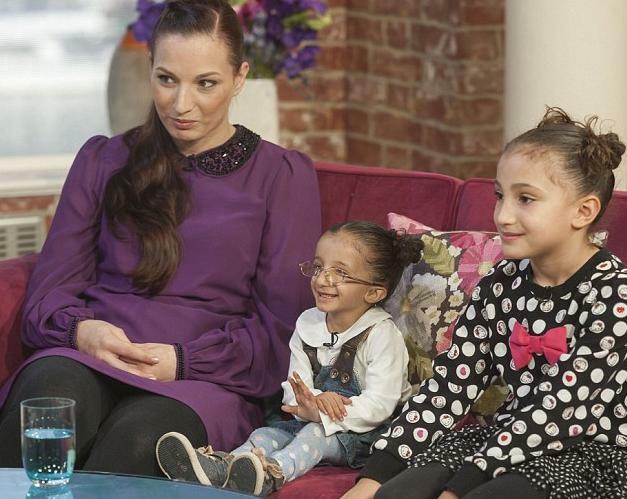 Now, five years on, they have finally diagnosed Suraya with a rare type of primordial dwarfism that is known to affect only three other families in the world. Today, Suraya’s mother Atlanta Dujmovic revealed the struggle she and her husband went through to before getting the diagnosis – and their hopes that Suraya can live a life that is as normal as possible. Mrs Dujmovic, from Hayes, Middlesex who has one other daughter who is older than Suraya, said that when she fell pregnant with Suraya in 2007, everything seemed normal at first. Then, at the six month mark, doctors noticed the baby’s measurements seemed small for dates, but were not inordinately concerned. ‘The pregnancy seemed fine, apart from a few small things,’ Mrs Dujmovic told Holly Willoughby and Philip Schofield on the ITV show this morning. ‘At six months, the midwife said, "you are quite small." I started going to the hospital weekly to have scans and be monitored. Doctors there told me the baby was small, but never said where she was on the scale of how babies should be. At first, Mrs Dujmovic’s doctors and midwife were not overly worried, and suggested that a better diet and some treatment after birth might be enough to boost the baby’s weight. ‘We were under the impression it was malnutrition, becaus e the placenta wasn’t working well,’ she said. ‘One week it would be fine, the next week not. I thought I needed to eat more, and steroids after birth would help her along. But when Suraya was born, doctors were unprepared for what they would find. For five hours Mrs Dujmovic and her husband were unable to see Suraya, who was immediately taken away by doctors for tests. Feeding was difficult, and Mrs Dujmovic was unable to breastfeed her daughter as the little girl had to be tube-fed. ‘Everything that went down, even by tube, would come back up,’ she says. ‘Her dad was the rock. He took it all in his stride,’ she says. ‘I was all over the place. We hadn’t experienced anything like this before. You are in quite a lot of shock. ‘The doctors aren’t giving you any answers. 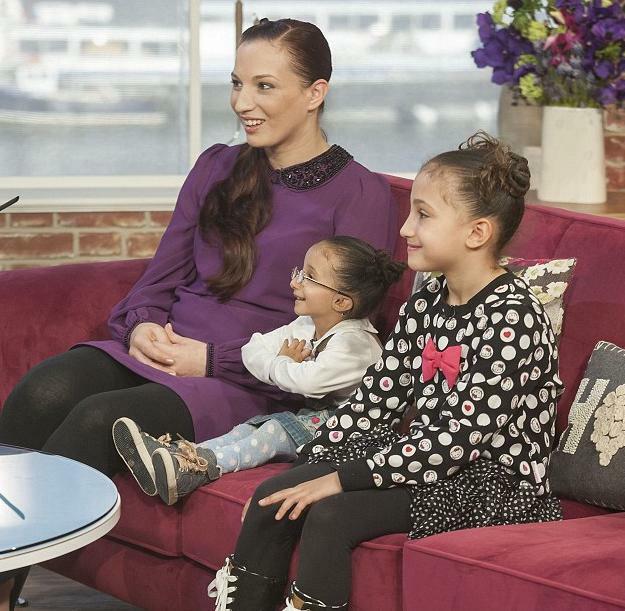 Suraya spent one entire year in hospital before she was allowed to come home for the first time. ‘She had a year of hospitalisation, she had X-rays, blood tests – but no one had any clue as to why she is the way she is. But it was when she came home after her first birthday that the family realised that although their little girl was tiny, she must not be underestimated. ‘She had this extraordinary fighting spirit.’ Mrs Dujmovic said. ‘She went on to shock the doctors. Her father wanted her to be fed properly – not to be fed with a tube any more. ‘I was not handling it well for the first two years, but he kept pushing. ‘He wanted to know, "what’s wrong with her throat? Is there anything actually wrong?" ‘When the doctors told him no, he said, "bring me a jar of baby food", and he started feeding her. ‘He helped her sit up, he supported her spine, helped her strengthen her neck. ‘He walked her around the living room,’ she says. The family found that when it came to schooling, they had to push for Suraya to be accepted at a regular school. ‘We were given a thick pile of papers to find her a special school, but there isn’t a school for people like. She’s small, but her brains are quite advanced. ‘She has remarkable spirit, and we wanted her to go to a regular school – but we had to push for it. Mrs Dujmovic revealed she had to stay up until 2am the night before Suraya’s first day, making her a small school uniform after struggling to find support from the school suppliers who she says said they would help but didn’t. ‘The school said she should just come in her normal clothes, but we didn’t want that. I wanted to make it as normal as possible for her. ‘She’s different enough already, why make her stand out more? ‘Now she is loving school. ‘At nursery she was the diva, but school has tamed her,’ Mrs Dujmovic adds. After five years of not knowing what condition Suraya had, she was finally diagnosed last week. ‘In August, doctors said they may have found something, but they weren’t 100 per cent sure. ‘Then last week, we got the final conformation that it is primedial dwarfism. It is very, very rare – only four known families are affected by it. ‘Has it helped to know? You’re relieved to know there is a name for it,’ she says. ‘To know there are at least three other people with it, that we can find out what her life might be like, that really helps.